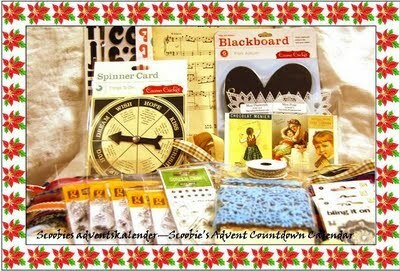 The lovely and talented Scoobie aka Hilde is having a fandabbydosey advent calendar style blog candy giveaway!Check out the goodies oh my yummo! !Pop on over and check out Hildes fab blog and join in the fun :) Such a fab idea Hilde! Oh no, this is where it went downhill on Saturday? Poor Kloe - all the best for a full recovery. Your week 3 cards are beautiful as always, the house card is so cute.